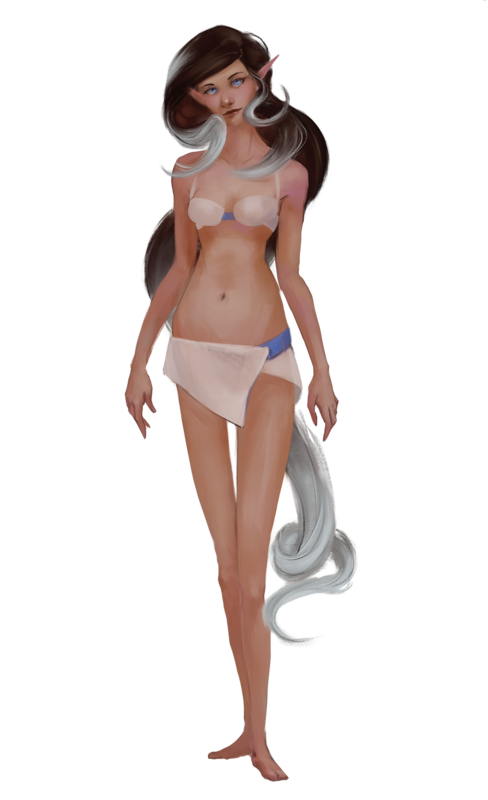 Sessul, also known as Plains Elves, are the second most abundant elven race of Tharstelding. They are lean and long legged with skin ranging from pale to copper, eyes hues that span the lightest of blue to pitch black, hair color also ranges from white to black or even mixed. Sessul are more wild than their elven cousins and have no main areas of gathering, While abundant, Sessul are the most solitary of the prime races in Draconspire, often never gathering in groups larger than a hundred. Sessul get along well with Humans and other Elves, they interact little with Dwarves and tend to judge them on a case to case basis. Sessul lean to the Chaotic side of the moral compass due to the lawless stretches of the plains they call home. They also lean to the neutral side of morals, sometimes going out of their way to help. Abilities: +2 Con, +2 Wis, -2 Str: Sessul have amazing endurance but are weak compared to other creatures. Medium: Sessul are medium creatures and have no bonus or penalty due to their size. Enhanced Speed: Sessul have a base land speed of 35 feet. Superior Low Light Vision: Sessul can see four times as far as humans in starlight, moonlight, torchlight and similar conditions of low illumination. See chapter 7 of the Core Rulebook. Immune to Sleep effects: Sessul require the same amount of rest as elves as described in the core rule book and are immune to magical sleep effects. Weapon Familiarity: Sessul treat any weapon with elven in the name as a martial weapon. Sessul begin play proficient with star knives, longbows and short bows, both composite and normal.